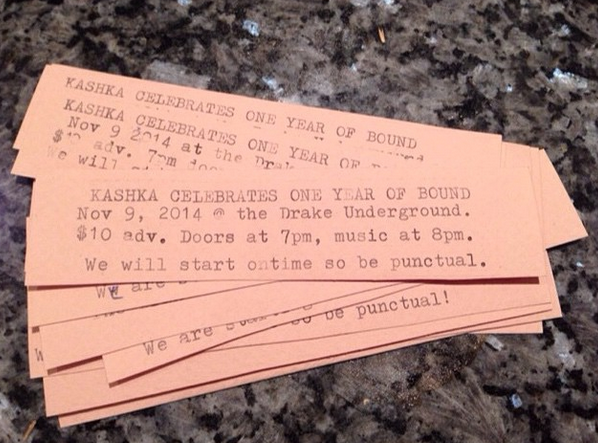 Dropping off some hand-typed tickets today at Soundscapes, for the November 9th show at the Drake Underground in Toronto. Hope to see you there! You can also buy online right —-> here.